The magician shows a clear plastic piece framed in on all sides by opaque plastic. 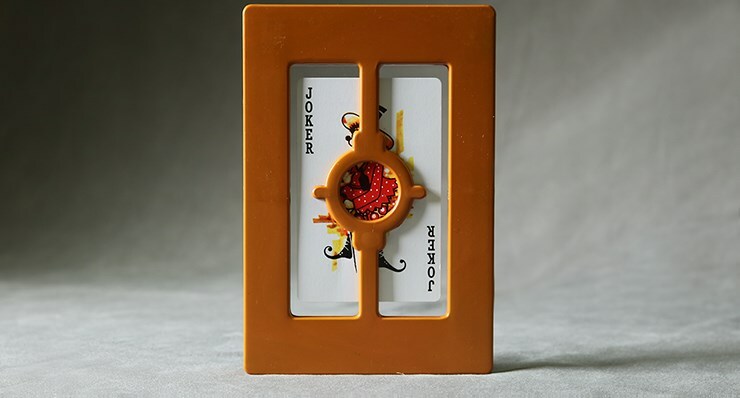 A playing card is placed on the clear plastic piece. Surprisingly, when the card is removed, the card has a hole in it and the clear plastic is unharmed.